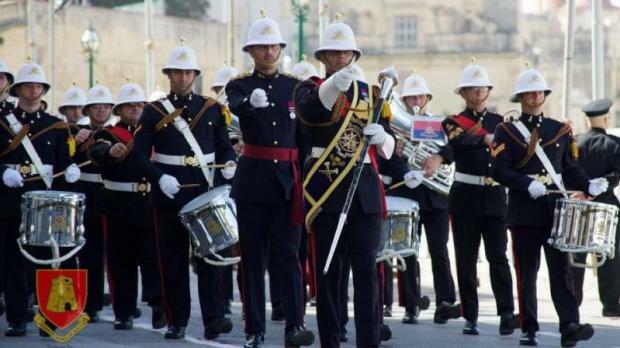 A lance bombardier, placing first in a selection process for the post of assistant trumpet major in the band of the Armed Forces of Malta, has filed a judicial protest after being denied a promised training course abroad. The selected candidate was to follow a training course at the Army School of Ceremonial Drums and Bugle Wing ITC Catterick at Vimy Barracks, England. After undergoing a medical fitness test, a written exam and a band control test, alongside other applicants, Mr Borg was informed that he had placed first and preparations for his trip abroad were undertaken by the army. The chosen candidate was to travel to England on June 25 for a training experience which was to last a fortnight, all expenses paid, courtesy of the AFM. With copies of the electronic flight bookings and relative bank transfer in hand, Mr Borg was all set and ready to go when an unexpected phone call, one week before date of departure, brought his plans to an abrupt halt. He received orders not to travel abroad and no explanation was forthcoming other than that his superior, namely the Commander of the AFM, had ‘decided that [Mr Borg] was not to attend the course in England,’ according to the court protest. This sudden change of plans prompted Mr Borg to file a formal complaint the very next day. A second complaint followed since the first had drawn a blank, the court was told. Subsequently, a meeting with the commander was scheduled for October 9. However, meanwhile, another call for an identical post within the army band, was issued, with the closing date being September 26. The selection board is chaired by the President and one of the members who had sat on the previous board, the court was told. In view of all this, the soldier filed the protest in the First Hall, Civil Court requesting his superior to address the aforesaid ‘anomaly’, whilst formally holding him responsible for any present and future damages.